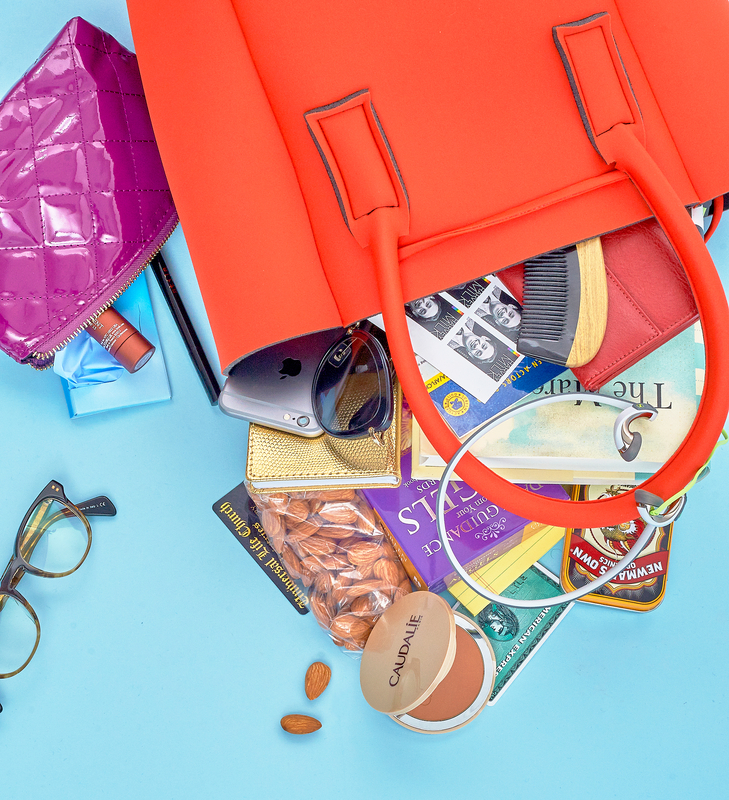 Wendie Malick: What’s In My Bag? For Wendie Malick, size matters. “I need a purse large enough to carry scripts, a book and a journal,” the Buffalo, New York, native tells Us Weekly of her Save My Bag tote. “I always admire people who have tiny bags.” The star of CBS’s Rush Hour, which airs on Thursdays at 10 p.m., opens up her satchel. Also in Malick’s bag? An Il Bisonte wallet, a scuba card, Harvey Milk stamps, her SAG card, small photos of young relatives, Sennheiser headphones, a black iPhone 6 Plus, a small blue travel makeup bag, Caudalie bronzer, Sugar lip balm, The Mare by Mary Gaitskill, a Filofax planner, a wooden wide tooth comb, The Leak magazine, Vanity Fair magazine, a Henry Beguelin key ring, The New Yorker magazine, checkbooks and a bottle with filtered water from a well at her home.